Lenovo is known for launching unique gadgets. 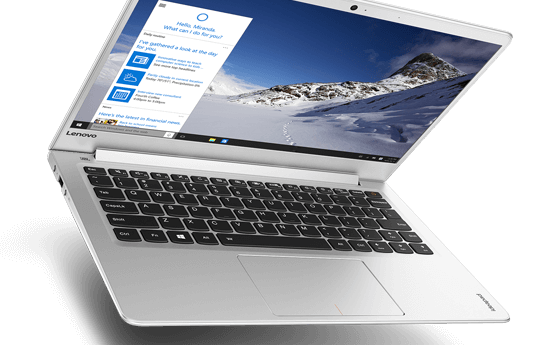 Before the starting of CES 2016 at Las Vegas, Lenovo has come up with its latest launch of a 13-inched laptop. It was named as Ideapad 710S, which can be considered as a strong competitor for MacBook Air from Apple. Just like MacBook Air, Ideapad 710S comes with slimmer design making it easy to handle. Let us see what is hidden in Ideapad 710S making it a strong rival of MacBook Air. The thickness of the new laptop comes to be 13.9mm and weighs just 1.16 Kg. Unlike other laptops, these small figures make it easy for the users to conveniently handle the device. The screen measures to be 13.3 inches edge to edge and loaded with a screen resolution of 1920*1080 pixels. This display is packed with full HD IPS display technology. You may doubt the device for Lenovo Yoga 900S. Unlike Yoga 900S, Ideapad 710S lacks touchscreen technology and watchband hinges. Another unique feature about Ideapad 710S is that the device is loaded with 6th Generation Core i7 Skylake processor from Intel. The memory can be configured upto 8GB RAM with the help of LPDDR3. Another interesting fact is that you can avail graphics support with the help of Integrated Intel or Intel Iris Graphics. This laptop operates with the help of Windows OS. But the latest Windows 10 comes as an out of box option. The sound system in Ideapad 710S is managed by JBL stereo speakers. These speakers are loaded with Dolby Audio Premium technology, which helps in providing better sound experience. The Webcam to the front of the laptop provides 720 pixelquality. This lap is loaded with an in-built WiFi connectivity with a bandwidth of 802.11ac. The Bluetooth connectivity is managed by v4.0.This device is packed with one microHDMI port along with 2 USB ports of v3.0. Among this one is used as charging port. The device also includes one 4-in-1 card reader also. Company claims that the battery of the device can keep it live upto 8 hours after full charging. The base model of Ideapad 710S is priced at US$799 and increases with better specs. The company declared that Ideapad 710S will be available at shops for sale by June 2016.